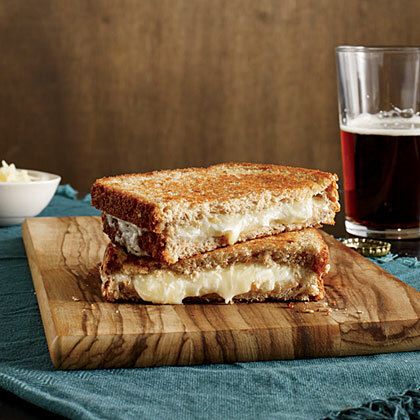 Search results for "grilled cheese"
"You can make this recipe with any kind of cheese," says Peggy Smith, co-owner of Northern California's Cowgirl Creamery. The recipe is based on one in Cowgirl Creamery Cooks (Chronicle Books), which Smith wrote with her business partner, Sue Conley. 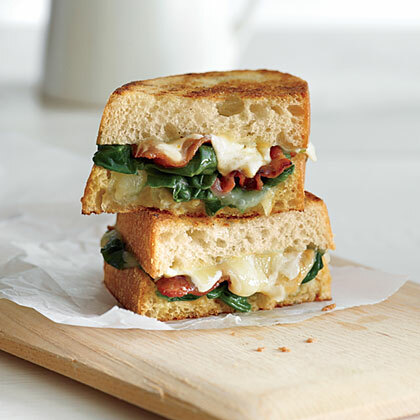 The key is to use a variety of different-textured cheeses--moist with dry, elastic with hard. 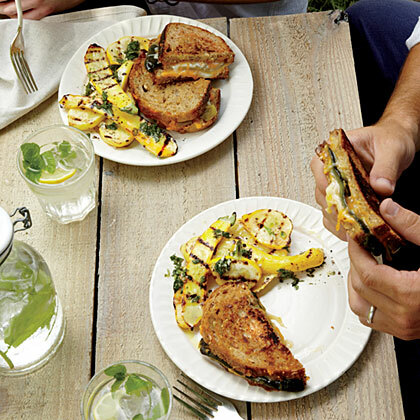 Herbs are nice in this sandwich: Conley used Thai basil from her garden on the day we visited. The bread came from Della Fattoria, a terrific bakery in downtown Petaluma, not far from Conley's house. 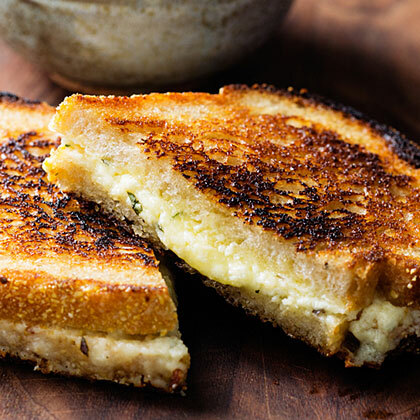 For the Ultimate Grilled Cheese, we slather reduced-fat cheddar cheese that's combined with light cream cheese and canola mayo on whole-grain bread; then sauteed in olive oil. 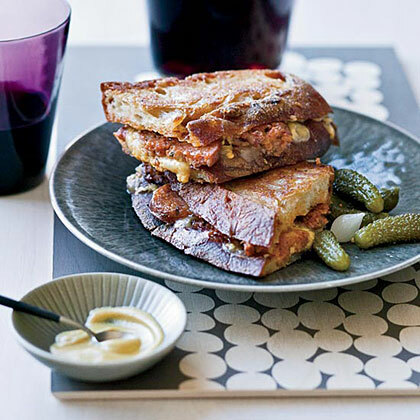 This mixture melts into a gloriously silk, ultracheesy filling. 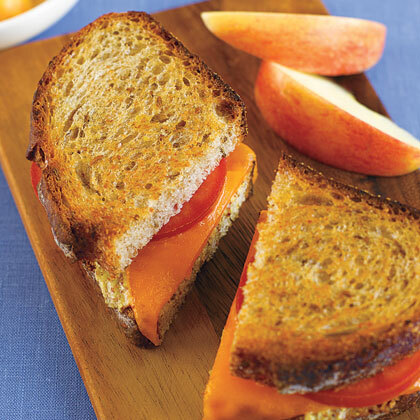 Dress up your traditional grilled cheese sandwich with by adding sliced plum tomatoes and fresh herbs. 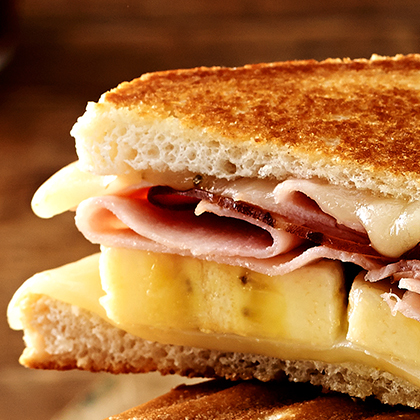 Serve with soup or as a standalone meal. 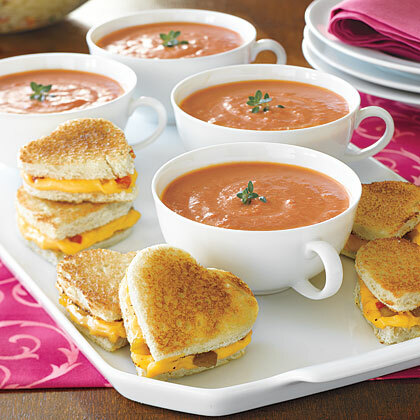 Nothing says, "I love you" like Mini Grilled Cheese Hearts alongside creamy tomato soup. 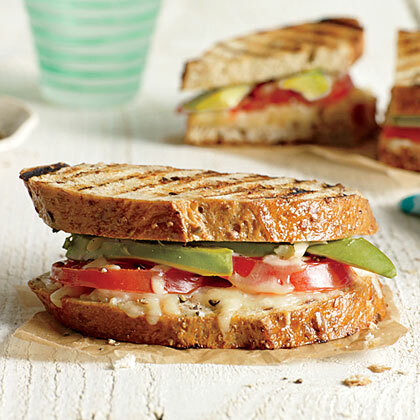 These cheesy sandwiches bring big smiles, no matter the age. 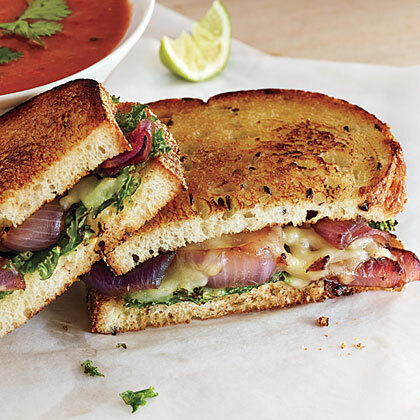 Whether paired with soups, salads, or kicking it solo, the comforting grilled cheese is a beaming icon in the foodie world. 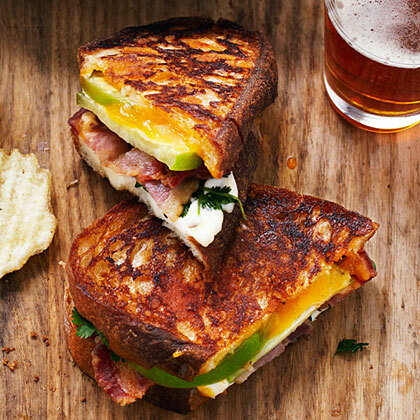 Ooey, gooey, and cheesy on buttery bread — what more is there to love? 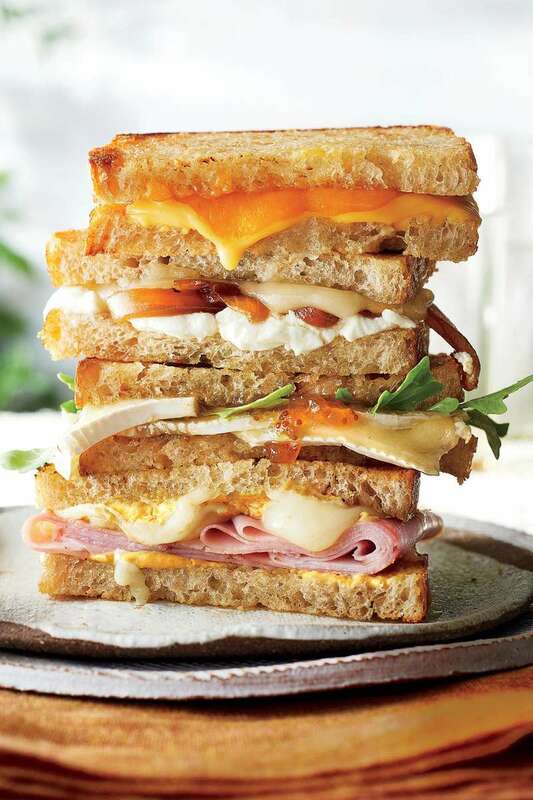 This delectable sweet-savory sandwich is an homage to Cheryl Dobbins, who leads tours of Cowgirl Creamery's cheesemaking rooms in Point Reyes Station, California. 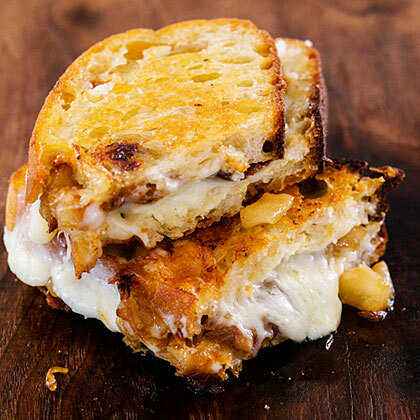 The recipe is adapted from one in Cowgirl Creamery Cooks (Chronicle Books, 2013), by Cowgirl Creamy co-owners Sue Conley and Peggy Smith. Raw tomatillos taste like tart green apples. 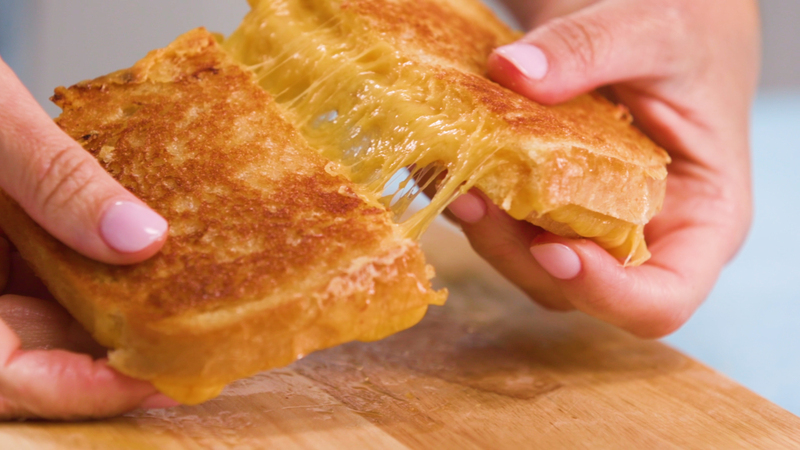 Just when you thought a grilled cheese couldn’t be any more irresistible.